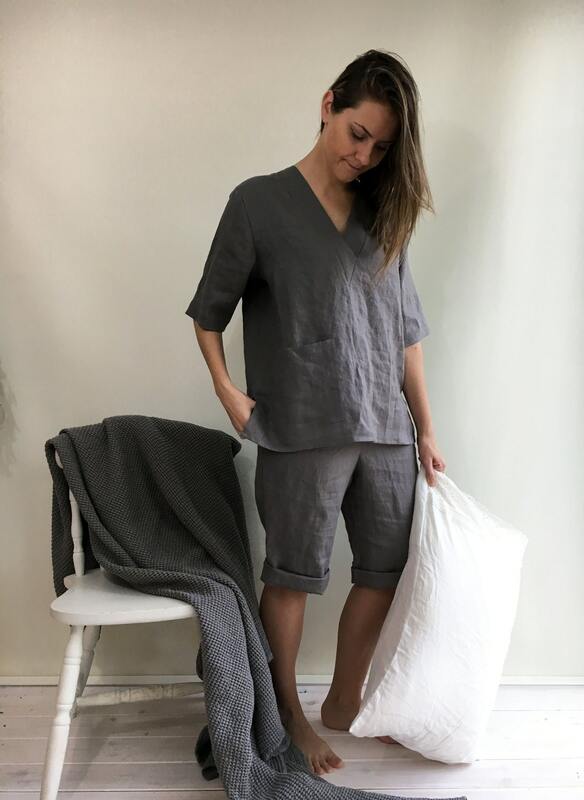 Lovely linen pyjama set - shorts and a top with sleeves and v shaped neck. 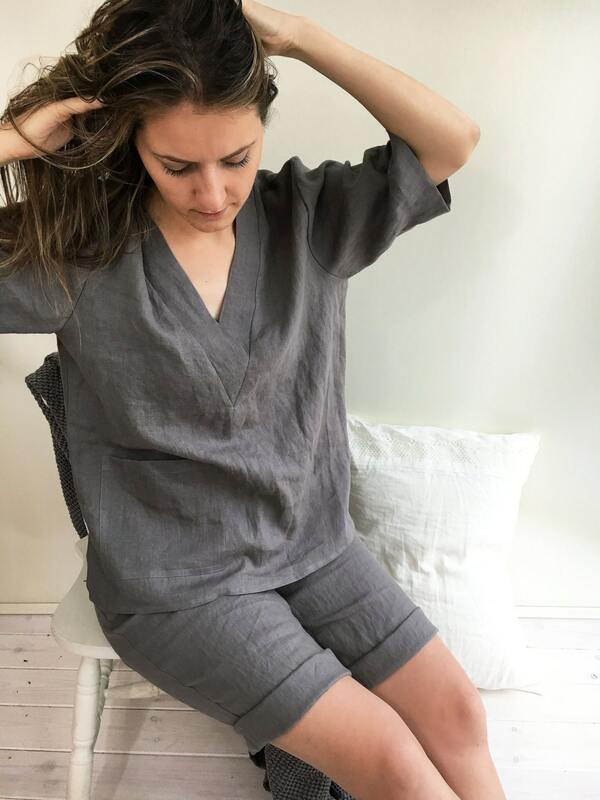 Perfect to wear at home as you unwind after a working week. Comfortable, light and eco friendly. Treat yourself or make this a wonderful gift. The shorts have an elastic waist. No pockets. 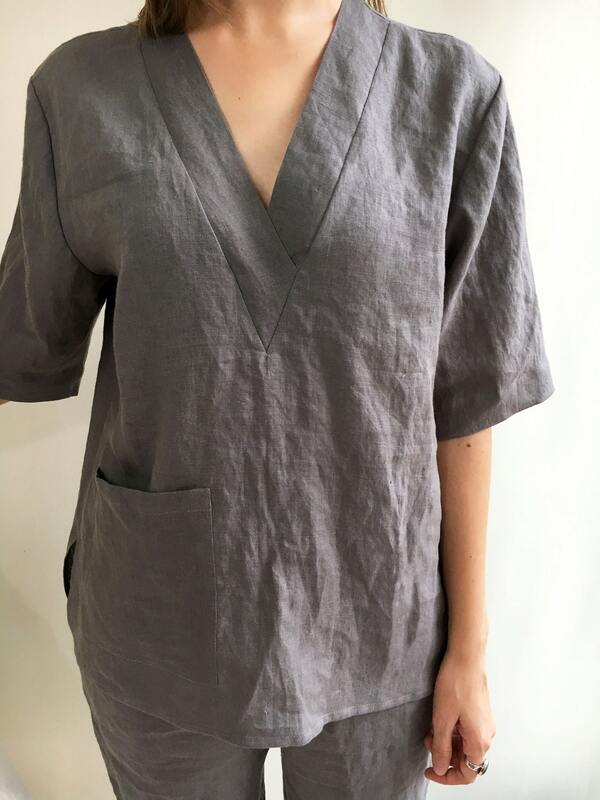 The top features a patch pocket. 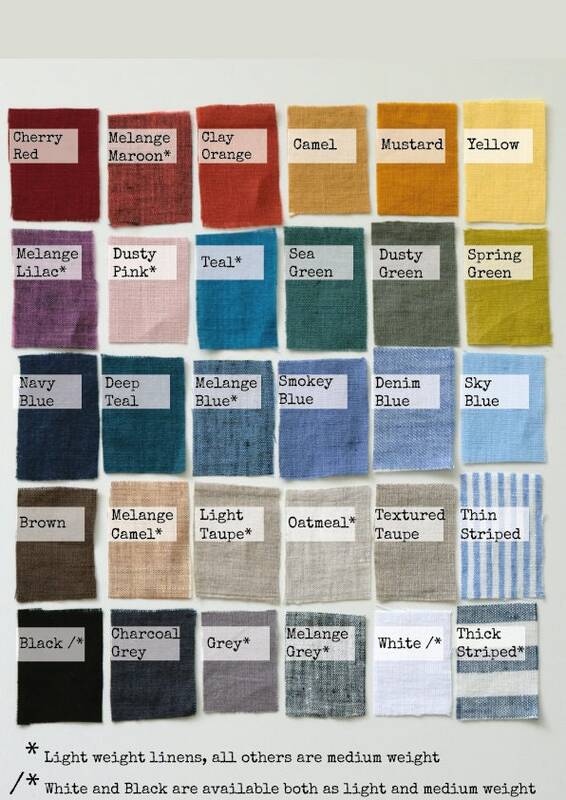 Made from 100% pure and soft linen. Simple. Eco-conscious. Smart choice. Please allow for up to 10 DAYS to make the set for you.